Delta RPI Home Solar Inverter E34 Ground Fault - What Now? 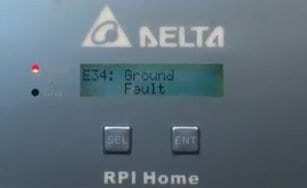 The Delta RPI Home E34 Ground Fault message is your inverter telling you that there’s a problem with your solar power system. 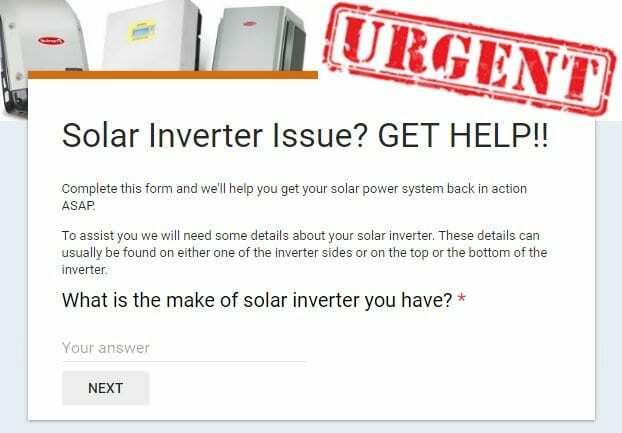 While you’re seeing the E34 ground fault message your solar power system won’t be working so it’s time to take action! What’s the E34 Ground Fault Message Mean? The E34 ground fault could also be a problem with your inverter, however this isn’t very likely. As a first step we recommend you carry out a visual inspection of the system to see if you there’s any damage or signs of moisture getting into the system. If a visual inspection doesn’t reveal anything you are going to need the assistance of a solar accredited electrician to work out what’s going on. For further advice please complete the form above under the URGENT heading so we can assist you further.